Today is the day Friday the 13th becomes known as a lucky day. I am sure of it. Do you know why? Because today we are preparing to celebrate 6 years of providing scholarships to cancer survivors in North and South Carolina with our 6th Annual Casino Night in the Carolinas fundraiser. Not only do we get to provide scholarships to students all over the United States, but we have people from coast to coast who are just as committed as we are to fighting the effects of cancer and launching dreams. Tonight, we get to come together once again to make more college dreams come true. As we make our way into May, I think of so many important events that have occurred since I received my first Cancer for College scholarship in May of 2012. I was a second year pharmacy student who had recently been diagnosed with stage IIIA melanoma. Since then, I have graduated from pharmacy school, moved from South Carolina to Houston, Texas, gained a sister-in-law and brother-in-law, completed a year long pharmacy residency, moved to a new state, and accepted my first “real” job. May is an important month for me because it is melanoma awareness month. While most other people are gearing up to lay out by the pool and bake in the sun, I am buying sunscreen in bulk. Too many people forget that melanoma is the most common cause of cancer-related death in women aged 29 – 34, and that it is often preventable. The month of May should serve as a reminder to protect your skin and have it checked regularly, regardless of complexion, hair color, or age. The past year has been full of changes and adjustments. In June of 2015, I progressed to stage IV melanoma and simultaneously finished my pharmacy practice residency at MD Anderson Cancer Center. Due to this progression, I took time off to rest and recover. Unlike the rigorous schedule of residency, I now had the time to tour Napa Valley with my sister, visit friends up and down the east coast, and celebrate weddings with friends and family. In the fall, I felt ready to go back to work, and accepted an outpatient oncology pharmacist position at Wake Forest Baptist Health in North Carolina. The transition back into independence and going back to work was easily the best experience I have had in the last year. Working as an oncology pharmacist has been a goal of mine for several years. I was already in pharmacy school when I was diagnosed, but as soon as I spent time volunteering and working with cancer patients, I was hooked. I find that cancer patients are grateful, hopeful, inspiring, and tough. I sought opportunities in oncology and was very fortunate to match at MD Anderson, surrounded by some of the best oncology teams and researchers in the country. At my current job, I am able to work with doctors, their teams, and patients. We work on chemotherapy planning, patient counseling, and coordination of care, among other things. It is the best way I can think of to help support patients while fulfilling my personal goals through my profession. Maggie and two of her co-workers from Wake Forest Baptist Health. That is the truth! There is no one tougher than you, and Maggie is a hopeful example for every cancer survivor who is determined to achieve their dreams despite cancer’s attempts to derail them. See you tonight, Maggie! To find out how you can make a difference in the lives of cancer survivors like Maggie, please visit cancerforcollege.org. You can also make an impact specifically in the lives of students either from or attending school in North or South Carolina by donating to the CFC Carolina Scholarship Fund at crowdrise.com/CAROLINAS. About the author: Mitch Friesen is a childhood cancer survivor, CFC scholarship recipient (2011-2014), and now works for Cancer for College as their Director of Growth & Community. Mitch graduated from Azusa Pacific University with a degree in Business Management and minor in Theology. A lifelong learner and lover of adventure, when Mitch is not catching up with all of the awesome CFC recipients, he can be found enjoying the outdoors with his bombshell of a wife (Abbey), watching/playing soccer, and drinking coffee. I read that line twice, thinking I must have misunderstood. Or perhaps it was a typo. I looked again at the personal statement from the Cancer for College scholarship application in my hand. I kept reading. Even after 20 years of reading applications, the raw gratitude expressed by many survivors still catches us by surprise. Our hearts ache for these brave kids, sharing their feelings so honestly. We feel so much wonder and respect for them, able to find the strength to survive, thrive, and, after coming through it all, feel grateful for their cancer experience. 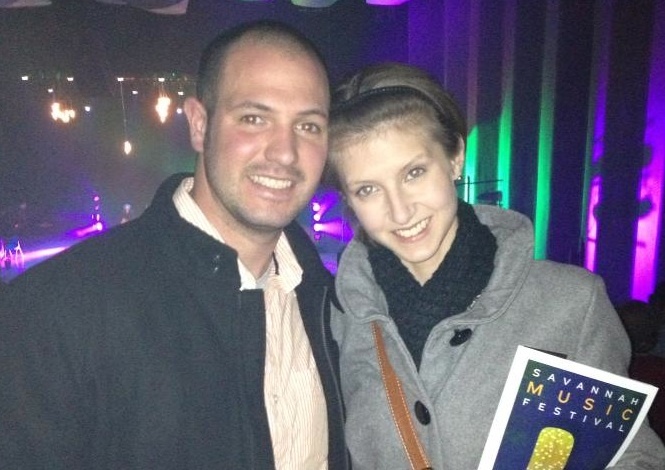 Her diagnosis was medulloblastoma — brain cancer — at age 15. “Being diagnosed with cancer helped me find myself and gave my life direction.” Sammy is now a sophomore at Western Washington University, working on a sociology degree. Finally, thoughts from a young woman who was working hard to make ends meet in order to obtain her college degree. In the midst of it all, at 20 years old, she found herself diagnosed with gastric cancer. Stephanie was so changed by the passionate nurses who cared for her, that, upon returning to school, she changed her field of study and is now pursuing a nursing degree. As a nation, during this season of Thanksgiving, we work to practice mindful gratitude. We hope you are as touched by these unexpected sentiments of gratitude as we are. As always, wishes for health and happiness to you and your families.